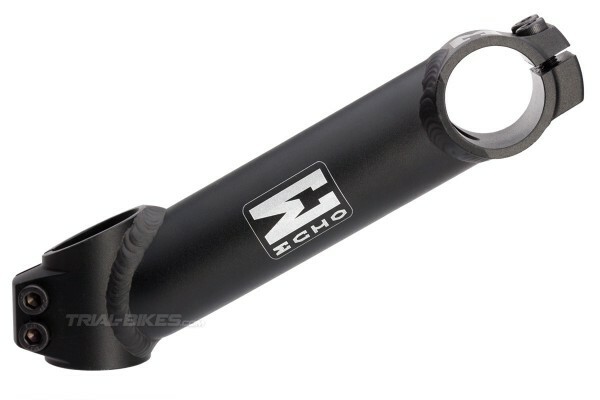 - New Echo TR stem, now available in a wide range of sizes. - Exclusive Echo TR design, with both the handlebar and steerer tube clamps machined from a single piece of high quality aluminium, then welded to the central tube. 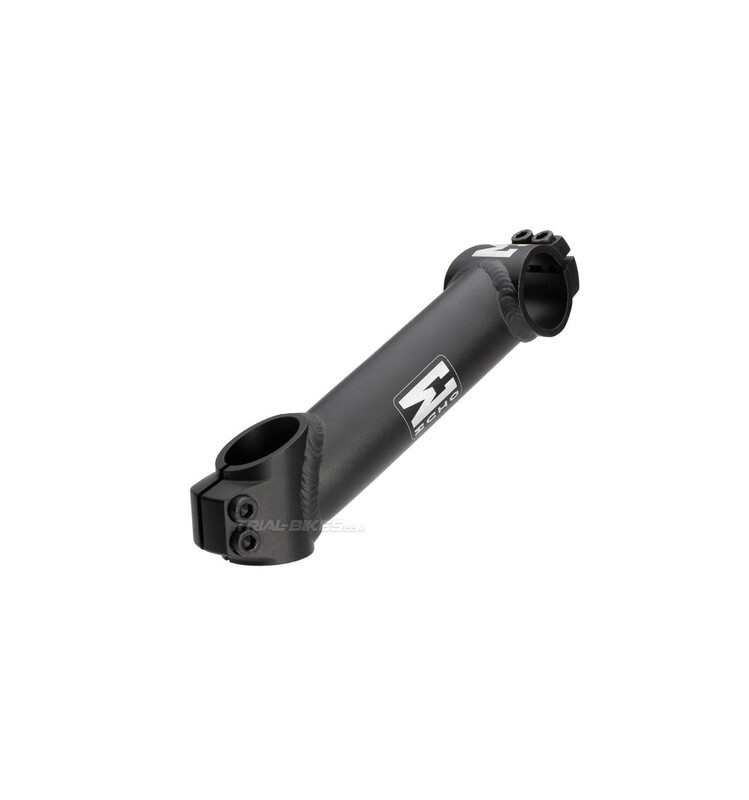 - Features a sloping steerer clamp to give extra clearance (52mm tall at the rear and 37mm at the front), which helps prevent knee injuries. 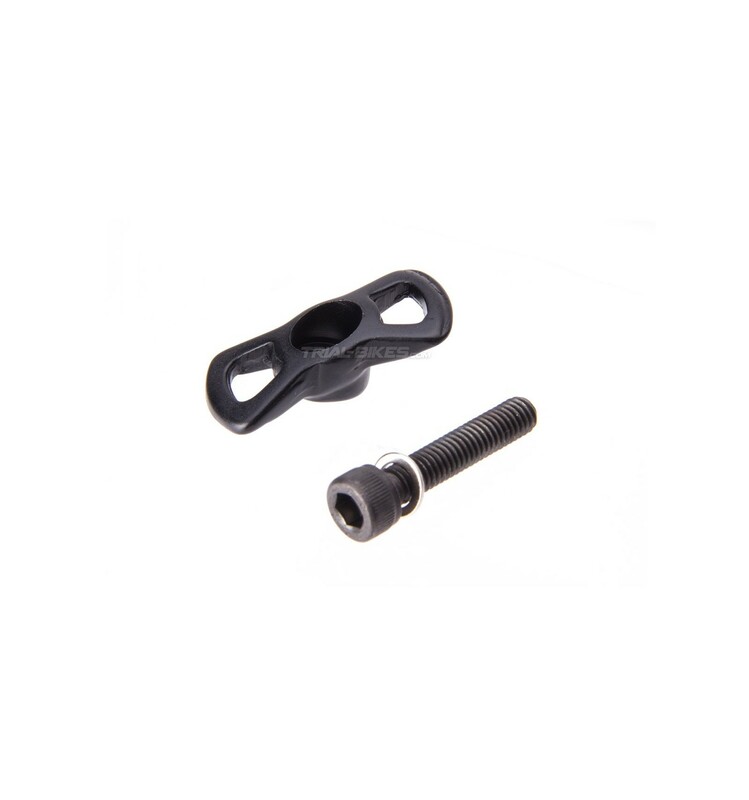 - One-piece handlebar clamp, which only needs 2 bolts to ensure the bar stays in place. - 5 different sizes available: 100mm x 30º, 115mm x 25º, 128mm x 28º, 150mm x 30º, 160mm x 30º and 165mm x 28º. 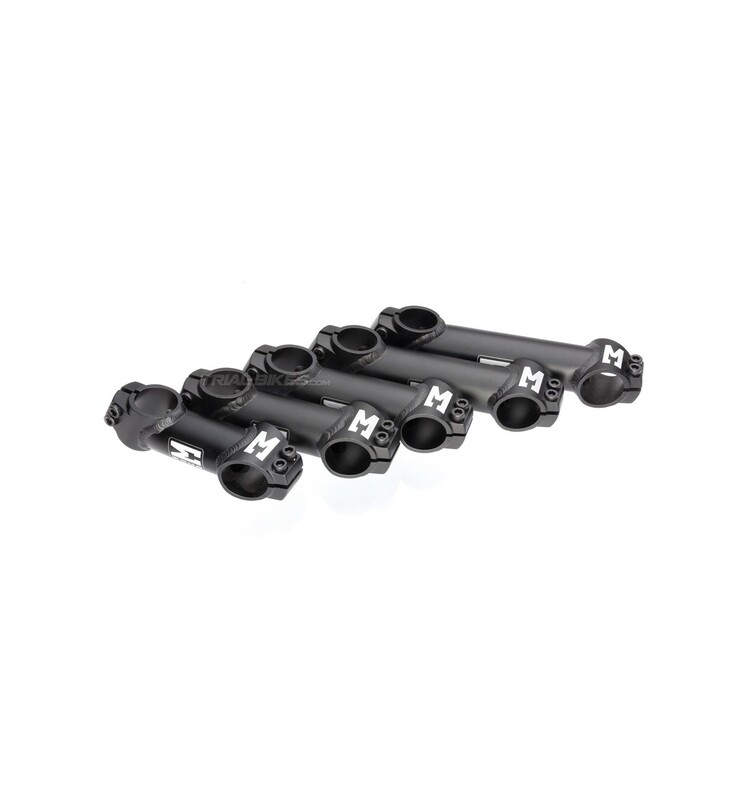 - Suitable for most Ø31.8mm Oversized handlebars. 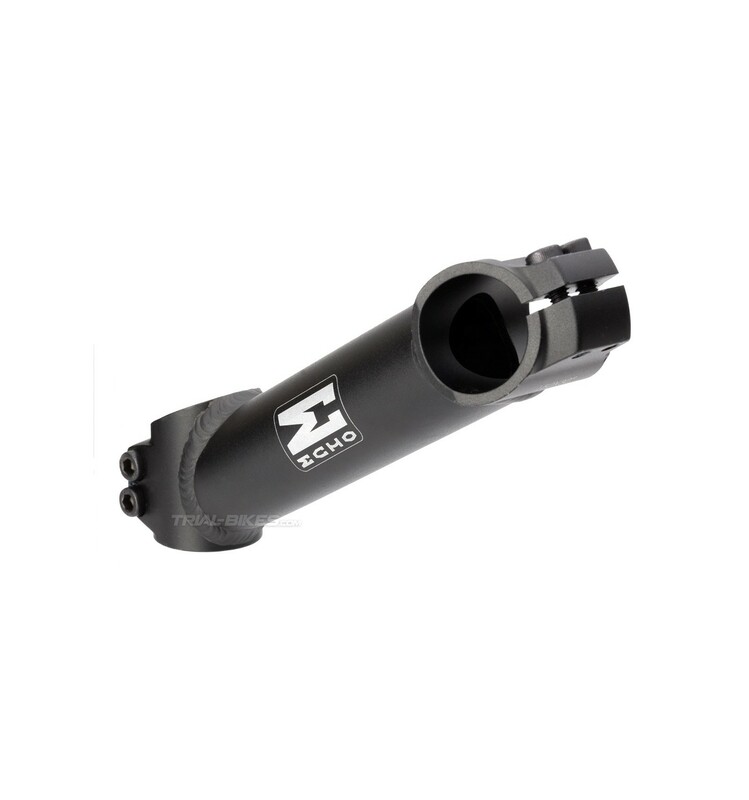 - Supplied with a CNC-machined top cap. 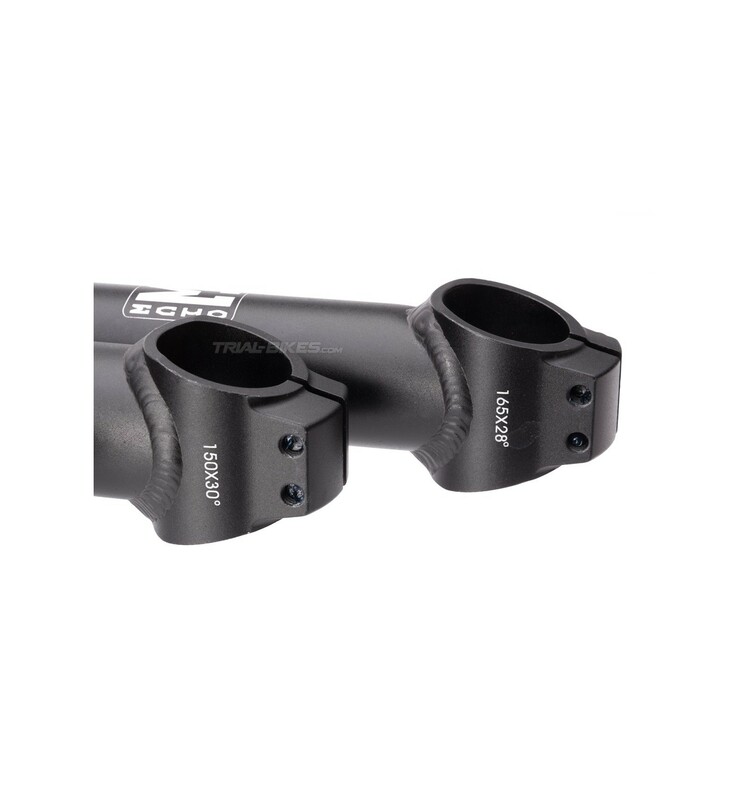 - Also includes all necessary bolts (2x steerer tube clamp (M6x23mm), 2x handlebar clamp (M6x23mm), and 1x top cap (M6x30mm)). 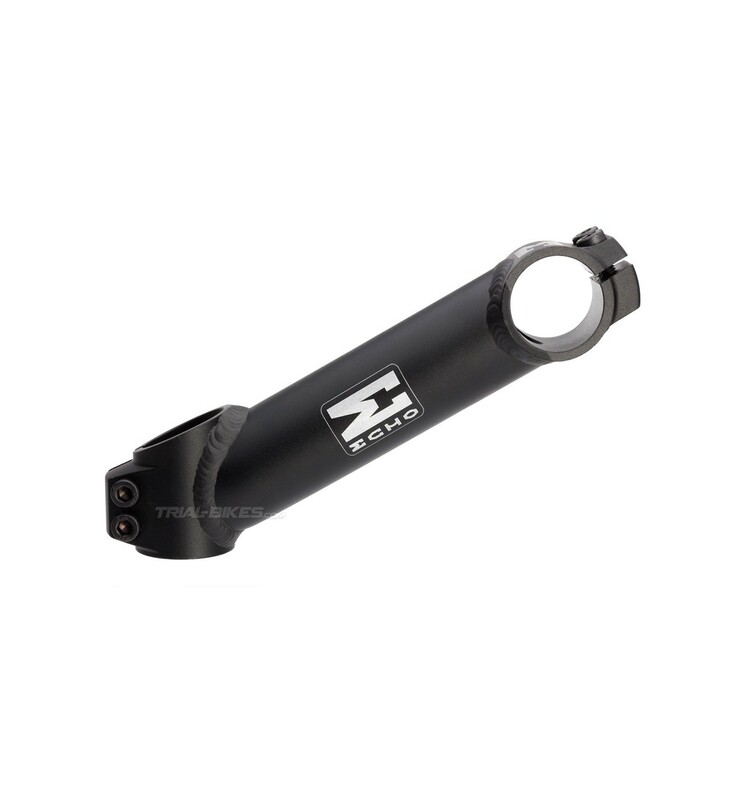 - Available in sand blasted black only, with grey laser etched Echo logo. - Due to the bar clamps design, it’s recommended to insert a coin into each slot, then screw the bolts upside down to slowly open the slots and ease the handlebar setup. Please note! It’s very important to alternate each bolt to avoid the clamps from splitting, which would void the guarantee immediately.